In this issue: The state of digitisation in the air freight industry, whether airports should be financed with green bonds, Dutch plans to run the country’s airports on wind power, robotic valets parking cars at airports, tighter EU border security, and more. Should ‘green’ bonds be used to finance airport expansions? 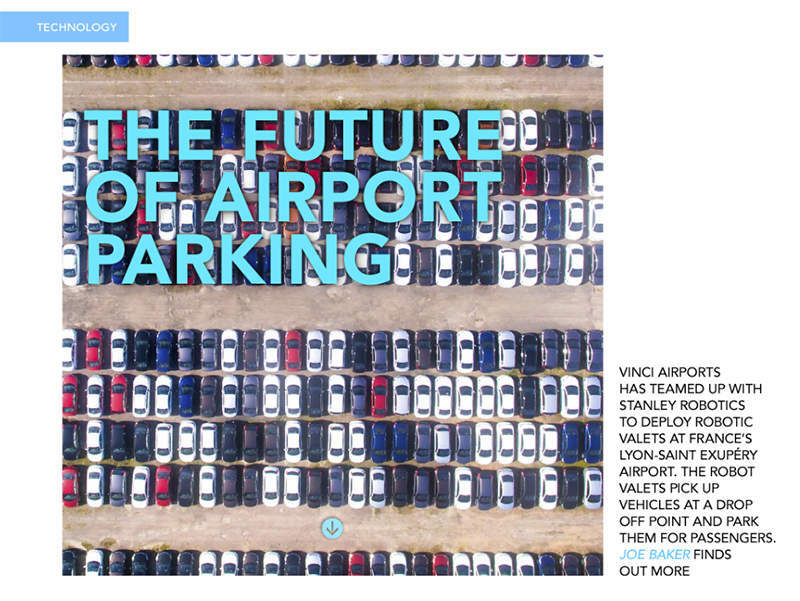 The new issue of AIR, the free web and iPad magazine for the airport industry, is now available. Download our app to read the latest issue and browse our back issues for free. Siemens Postal, Parcel and Airport Logistics has won a contract to implement a cloud-based software platform to improve dnata’s air cargo operations at Dubai International Airport. We find out more about the benefits and challenges of cloud computing and end-to-end digitisation in air cargo operations. We also consider whether ‘green’ bonds should be used to finance airport projects, learn more about Royal Schiphol Group’s plans to run its airport network entirely on wind power from 2018, and take a closer look at Lyon Airports partnership with Stanley Robotics to deploy robotic valets at France’s Lyon-Saint Exupéry Airport. 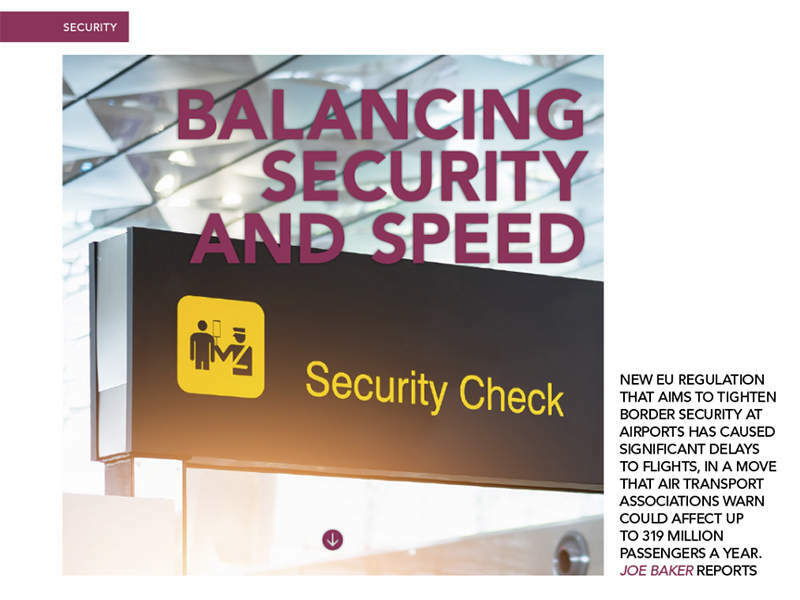 Finally, we investigate a new EU regulation that aims to tighten border security at European airports, which air transport associations have warned could affect up to 319 million passengers every year after it caused significant delays to flights, and find out more about Airbus’s Altiscope project, which aims to help redefine air traffic management and prepare the skies for many different types of vehicles to share airspace. Earlier this year, Siemens won a contract to implement a new cloud-based software platform to improve dnata’s cargo operations at Dubai International Airport. 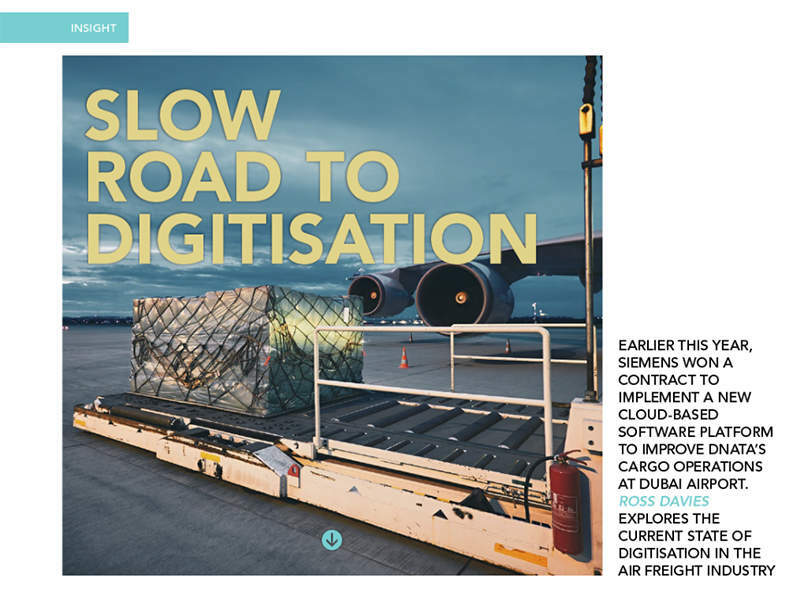 Ross Davies explores the current state of digitisation in the air freight industry. 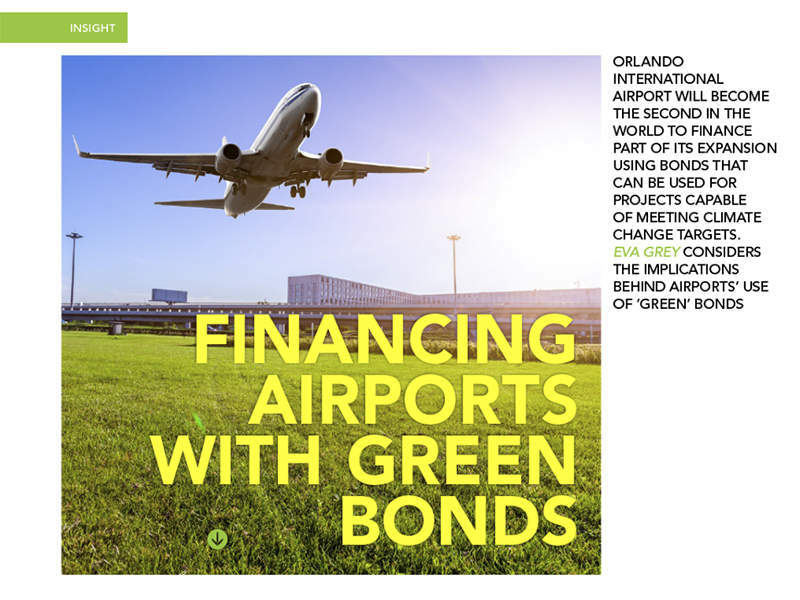 Orlando International Airport will become the second in the world to finance part of its expansion using bonds that can be used for projects capable of meeting climate change targets. Eva Grey considers the implications behind airports’ use of ‘green’ bonds. 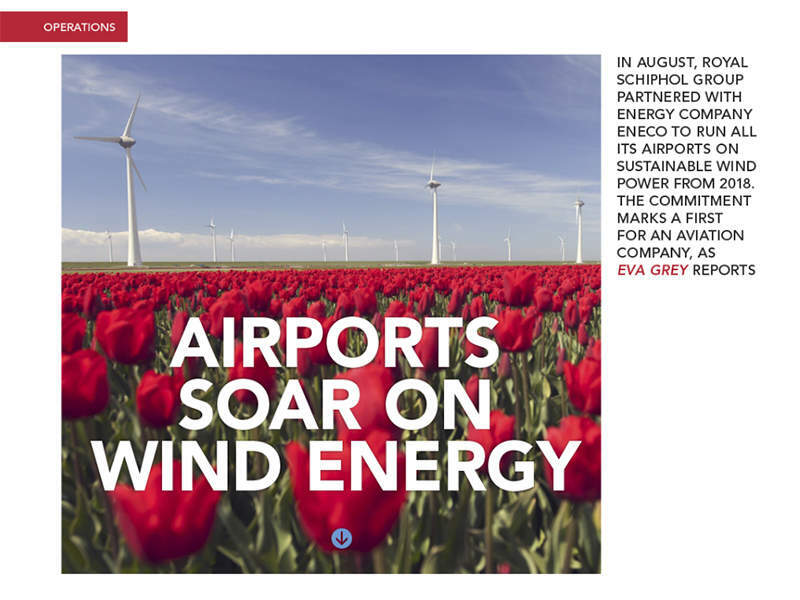 In August, Royal Schiphol Group partnered with energy company Eneco to run all its airports on sustainable wind power from 2018. The commitment marks a first for an aviation company, as Eva Grey finds out. Vinci Airports has teamed up with Stanley Robotics to deploy robotic valets at France’s Lyon-Saint Exupéry Airport. The robot valets pick up vehicles at a drop off point and park them for passengers. Joe Baker finds out more. New EU regulation that aims to tighten border security at airports has caused significant delays to flights, in a move that air transport associations warn could affect up to 319 million passengers a year. Joe Baker reports. 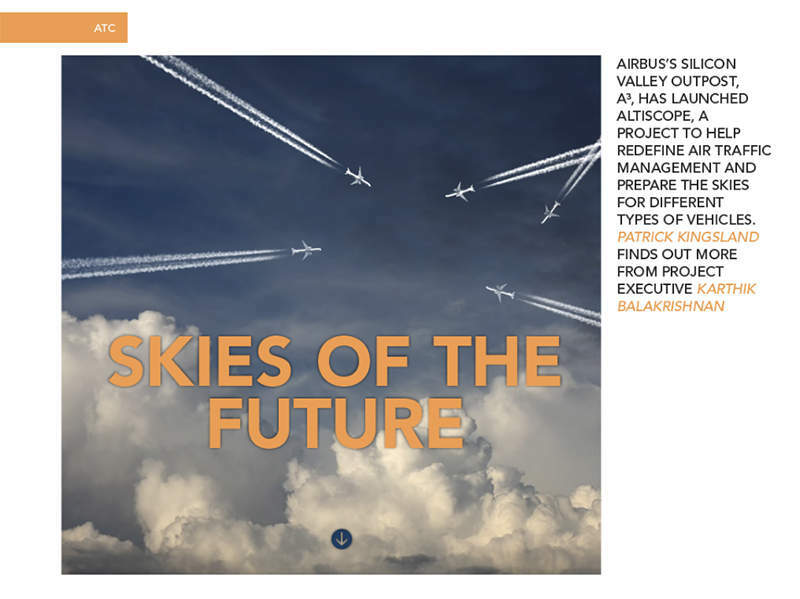 Airbus’s Silicon Valley outpost, A3, has launched Altiscope, a project to help redefine air traffic management and prepare the skies for different types of vehicles. Patrick Kingsland finds out more from project executive Karthik Balakrishnan. The adoption of CORSIA, a plan to reduce emissions globally based on an agreed set of goals, is the first by any industry and a major coup for the aviation industry, as it looks to avoid a complex of patchwork rules en route to achieving the target of carbon neutral growth. We investigate the plan ahead of its 2020 deadline. We also take a closer look at landlocked countries where trade and travel is overwhelmingly done by air transport, find out more about two pilot waste to fuel projects, and report on the problem of human trafficking at airports and the measures needed to eradicate it. Finally, we consider the thorny issue of passenger blacklisting, and examine the remaining unserved air routes after extensive route expansion in the past decade has left few unexplored destinations left on the market. You can read AIR for free on the iPad. Download our app to read the latest issue and browse the back issues in our archive. Sign up for a free subscription in the app and never miss a new issue.